When it comes to running a business, perception is very important. Experts say that people often judge the likely performance or service that they are expecting to receive by the way the business environment looks. The business environment often refers to an office space. For this reason, it is fundamental to ensure that the office space entices potential customers to be more receptive to what the business is offering. Commercial remodeling is one of the best ways of turning a dull office space to an elegant and comfortable business environment. The following are some of the ways in which one can remodel. The first way one can remodel is changing the lighting fixtures. This is an area that often goes unnoticed, but it is one that makes a big difference. When the lighting in an office space is too bright, it may make people uncomfortable because they feel like they are on the spotlight. When the lighting is too dull, it makes the office space look dull as well. Most people opt to hire a professional to ensure that they get the right amount of light with fixtures that are appealing to the eye. The second area that is very important is the type of chairs one uses in the office space. In a typical office space, there are two kinds of chairs that are required. The first is the chairs that the employees are going to use. These chairs should be high enough and provide enough support because the employees are going to spend the better part of their day sitting on it. The second kind of chair that one will need to get is the chairs that both clients and potential clients will use. Here, all the emphasis will be laid on the comfort of the chair. When the chair is uncomfortable, the client will be in a hurry to leave and will also be reluctant to come back because of the dreadful experience. The chairs need to be comfortable to encourage them to stay longer. The third area that is equally important is the color scheme of the office space. When it comes to color combinations, there are innumerable color schemes that one can choose for his or her office. However, not all color schemes are suitable. The color scheme that one chooses for his or her office should take into account the type of clients that one aims to serve as well as the nature of the business that one is running. For example, if one is running a business, which mainly provides services to female clients under the age of 15, it would be appropriate to choose a color scheme that has a number of bright colors. However, if one is running a business that aims at providing products and services to adults over the age of 25, it would be more appropriate to choose a color scheme with very few bold colors. This is yet another area where people hire professionals to ensure it is done right. The color scheme that one chooses should also blend in with the kind of lighting in the office. In conclusion, commercial remodeling is an area that is very important when one is opening a business. 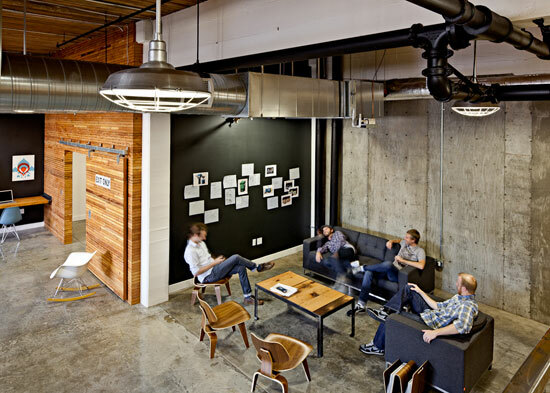 The state of one’s office space may dictate the rate at which the business will grow. A suitable office space will attract potential clients as well as provide a comfortable environment for employees to work in. There are numerous construction firms that have the capabilities of transforming a rather dull office space into a vibrant and comfortable area, which is enjoyable to work in. Written by Kent Murdock, owner of Randy Adams Construction in Columbia, MO. Randy Adams Construction is one of the premiere companies for remodeling Columbia, MO has to offer.